Sold out. 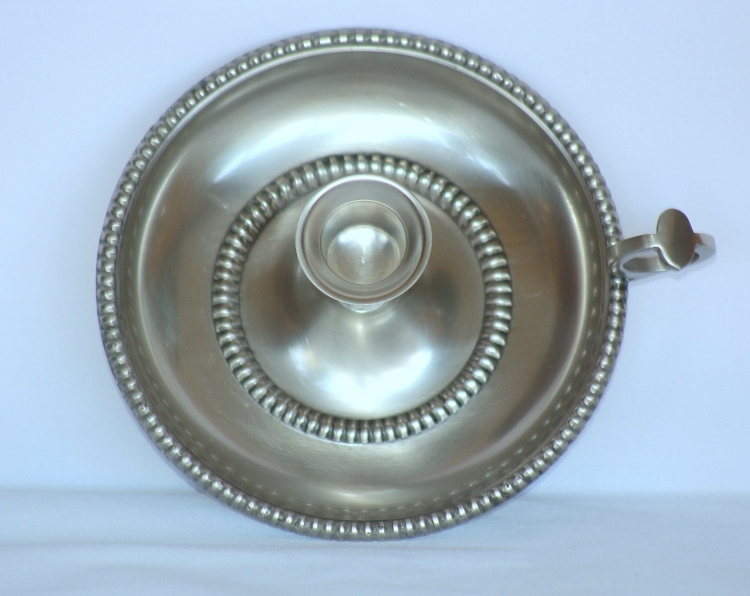 This beautiful chamberstick has beaded edges both on the rim and in the base. Our beaded chamberstick adds a lovely touch to any room in the house. 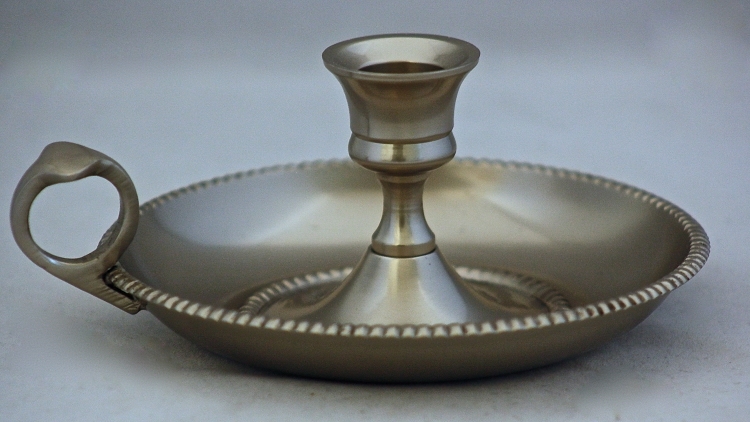 Cast of solid brass and finished with a heavy pewter plating, the chamberstick is then lacquered to maintain an effortless shine. The base measures 6" in diameter without the handle, and 6 7/8" including the handle. It holds standard 7/8" candles. Weighs 1 pound. Also available in polished brass. Q: can you use a regular stick candle in this? A: Yes. Unless it specifically states otherwise in the product description, all of our candle holders are made to accommodate standard 7/8" candles.